This part details what your assessor looks for during a PDA. It explains how assessors score you and tells you how to pass. It describes each PDA item and gives you some useful examples. There is also a list of serious faults that cause you to fail the PDA. diverge - a manoeuvre in which a vehicle changes position on the road. 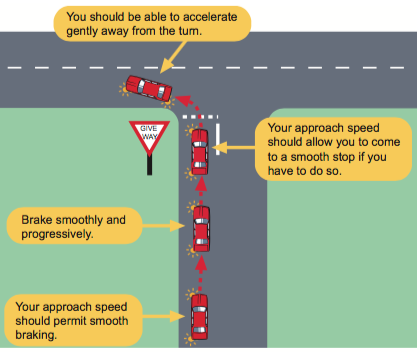 Two common examples would be pulling out from the kerb and changing lanes. exercise - activity consisting of 2 low speed manoeuvres like everyday tasks. manoeuvres - include all low speed and road speed manoeuvres. merge - occurs when two lanes of traffic merge into one. 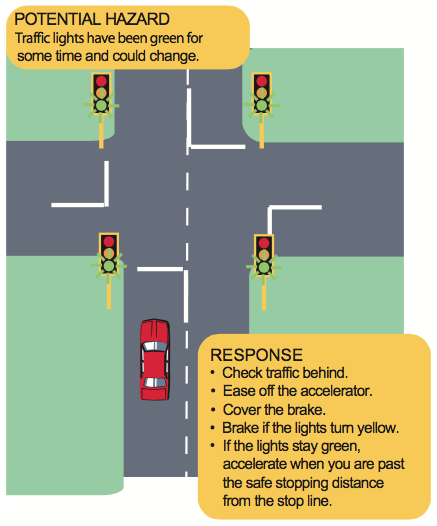 road speed manoeuvres - include changing lanes, merging, turning, giving way and stopping at intersections. slow manoeuvres - include parking, starting off from the side of the road and turning around in tight spaces (e.g. 3-point turns). turn - includes turning at an intersection to leave one street and enter another. Flow assesses how well you combine driving skills together. When driving flows it suggests competency. It is a sign you have learnt skills and can put them together. When driving flows you do not think consciously about what to do, it’s ‘automatic’. If your driving flows, you can have a conversation without it affecting your driving. To develop flow, get as much experience as possible in many situations to develop ‘mental programs’. One or two ‘practise runs’ in a few situations will not be enough. Flow also covers dealing with mistakes. Competent drivers make mistakes, but when they do, they can generally correct and adjust without breaking their flow. The diagram below represents fluent performance – one part flows into the next. As one part is finishing, another part is starting, sometimes several parts happen at once. A competent driver will do all of these things automatically. If a competent driver makes an error, such as stalling, they immediately restart the car without interrupting flow. You can make mistakes and still receive a ‘YES’ for flow. Your assessor will check flow when you perform either slow/road speed manoeuvres. The assessor starts scoring flow immediately after giving a direction. You start the manoeuvre promptly. You do not respond to an instruction. You are very slow starting or miss opportunities to start a manoeuvre. You proceed continuously through the parts of the manoeuvre. You stumble or pause performing parts of the manoeuvre. You proceed directly through a series of manoeuvres. You falter joining manoeuvres together. You fit in with other traffic. You inconvenience or unnecessarily slow or hold up others during a manoeuvre. You comply with rules for stop / give way signs, traffic signals, and right of way. You don’t comply with rules for stop / give way signs, traffic signals, and right of way. You drive without assistance. You ask for, or require, help from the assessor to perform any manoeuvre. You adjust your driving as situations change. You continue with the same driving pattern when situations change. You direct your eyes to hazards posing an immediate threat. You keep your head and eyes forward when approaching hazards to the side. You smoothly adjust to a safe speed in the presence of threats to safety. You use a speed that prevents avoiding a collision with others not complying with the law or with safe/reasonable driving. You use a suitable, safe and legal low-speed manoeuvre for the location. You use an unsuitable, unsafe or illegal manoeuvre for the location. These examples represent the aspects of driving the assessor will be checking when assessing flow. Read these examples in conjunction with Drive Safe: A handbook for Western Australian road users. In the diagrams, you are driving the red car. Your assessor will ask you to follow directions or perform specific exercises. Most manoeuvres have many parts. Flow = all those parts blend from one into the next. In basic manoeuvres you should not have to pause and think. Flow also assesses your ability to apply road rules, particularly stopping and giving way. You will fail if you do not come to a complete stop at stop lines. If there is no stop line, you must stop as near as practical before entering the intersection. Movement assesses whether the car moves smoothly forwards or backwards. When you manage your vehicle’s speed well, passengers feel comfortable because the vehicle moves smoothly and travels at a speed correct for the situation. Your assessor will check ‘movement’ when you are perform either slow or road speed manoeuvres. The assessor starts scoring immediately after giving a direction. You always move in the correct direction for the manoeuvre. You travel in the wrong direction for more than 30cm, the car rolls or you drive in the wrong gear and move in the unintended direction. Your vehicle moves smoothly and remains stable when you start moving and when you adjust speed. Your vehicle moves roughly and is not stable when you start moving or when you adjust speed (the vehicle jerks). You vary the speed to suit different stages in a manoeuvre. You travel too quickly or drive excessively slowly for any part of the manoeuvre. You travel within the speed limit. You exceed the speed limit (AUTOMATIC FAIL). You stop accurately. You stop well before or past the desired stopping point. You remain stationary as necessary. You let the car roll when it should be stationary. You maintain safe following distance. You don’t maintain safe following distance. 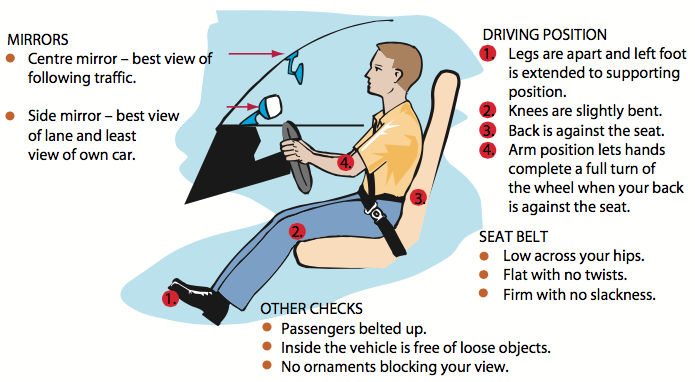 The following examples of movement represent aspects of your driving that will be checked. Read these examples in conjunction with Drive Safe: A handbook for Western Australian road users. In the diagrams, you are driving the red car. Match your speed to the manoeuvre - speeding up or slowing down to suit the situation. Your driving should be comfortable for passengers, not too fast so you have to rush things and not unnecessarily slow. When you have to park, look ahead and choose a safe and legal location. Path assesses whether you pick the best track and stay on track. The ‘how’ is physically turning the wheel. The ‘when’ and ‘where’ are mental skills. Path and speed are related. If you turn wide, you might not have slowed down enough before turning. When you change lanes too quickly, passengers are thrown sideways. If these things happen, the amount of steering used was not suitable for your speed. Weaknesses in ‘path’ will show in slow speed manoeuvres as competent drivers can work out the best path for a manoeuvre (e.g. they don’t reverse over to the wrong side of the road or clip kerb edges when turning into or out of a driveway). Path is assessed during manoeuvres in which you change direction while driving along straight road sections. Scoring starts immediately after a direction is given. You track accurately in manoeuvres, curves and on straight roads. 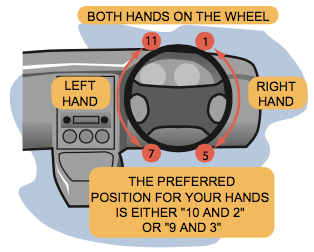 You steer inaccurately or follow a path that uses more/less steering than is appropriate. You keep the vehicle stable during changes of direction. Your steering tends to unbalance passengers. You travel centrally in the lane. You travel over/near markings unnecessarily. You use the most travelled section of road. You adopt a position on the road not normally followed by other road users. You follow a legal path. You travel an illegal path. You use steering well and at the appropriate time. You don’t use your steering well, or you steer inappropriately. You adopt a path that suits the environment. You adopt a path that places the vehicle unnecessarily close to a series of hazards. The following examples of ‘path’ represent aspects of your driving that will be checked. You should read these examples in conjunction with Drive Safe: A handbook for Western Australian road users. In the diagrams, you are driving the red car. You should be able to work out the best path to take and stay on track. 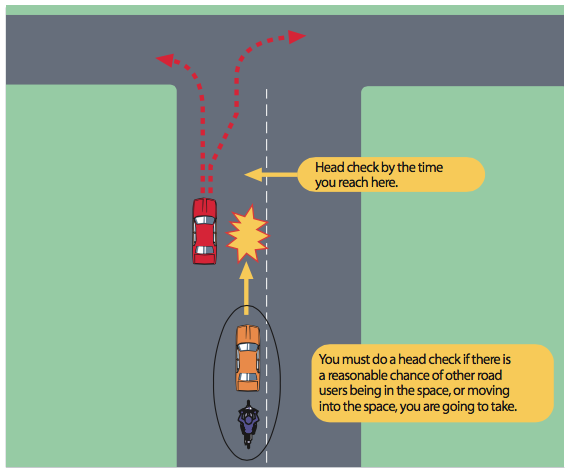 Start a safe distance out, between 0.5 and 1m out from the other vehicle. You should be reasonably parallel to it. Use definite and appropriate changes in direction. Try to end up close to, and about parallel to, the kerb on your first reverse manoeuvre. Allow about 30cm or more from other vehicles. Do not hit, nudge or scrape the kerb. Do not go any more than 4m back from the vehicle in front. Make sure road users can move freely. Your car should be reasonably parallel to the kerb, entirely within the confines of any parking bay and more than 1.2m and less than 3m from the vehicles in front and behind. Position yourself correctly in the parking bay. If there is ample room to U-turn, you should get around smoothly in 1 manoeuvre. Choose a safe location to complete the manoeuvre or you may be marked under FLOW. Attempting a manoeuvre in a very unsafe location could cause you to fail. It should also be more than 30m from any traffic control lights. Responsiveness assesses if you respond to your environment and control your and others’ safety. 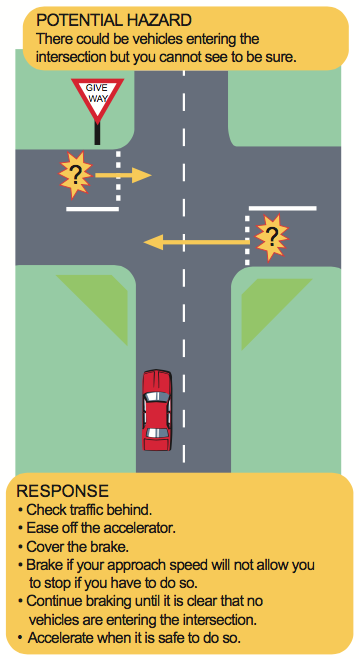 Driving with responsiveness = notice hazards and respond appropriately. Safe drivers are situationally aware, drive actively, and continually adjust to changes. They adjust to have enough stopping space. Safe drivers act this way ‘just in case’. Drivers with responsiveness drive as if ‘connected’ to their surroundings. They adjust their driving by looking and linking. They look for situations that need to be watched and link those to similar situations they have experienced. The driver ‘replays’ the previous event to see the possibilities for the current situation. 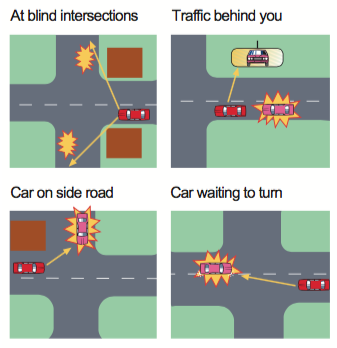 A passenger can see a direct connection between what happens outside the car and what the driver is doing. Responsiveness takes a long time to learn because you need extensive experience. Get lots of supervised experience so if you make a mistake there is someone there to help. Later you can draw on that experience. As you gain more experience you build up your own library of options for dealing with events. Assessors mark your responsiveness to the events happening as you follow directions. Adopts an environmentally suitable speed. Drives too fast to respond to hazards safe drivers could expect in the environment. Shows courtesy to other road users. Does not drive courteously. Has no attention to consider acting courteously in busy or adverse traffic situations. Selfishly maintains own right of way / passage at the expense of others. Is aware of traffic conditions well beyond the immediate vicinity. Concentrates upon, and reacts to, issues only in the immediate vicinity. Responds appropriately to those not obeying laws or driving safely. Fails to react to other road users acting illegally or unsafely. The following examples of ‘responsiveness’ represent aspects of your driving that will be checked. Read these examples in conjunction with Drive Safe: A handbook for Western Australian road users. 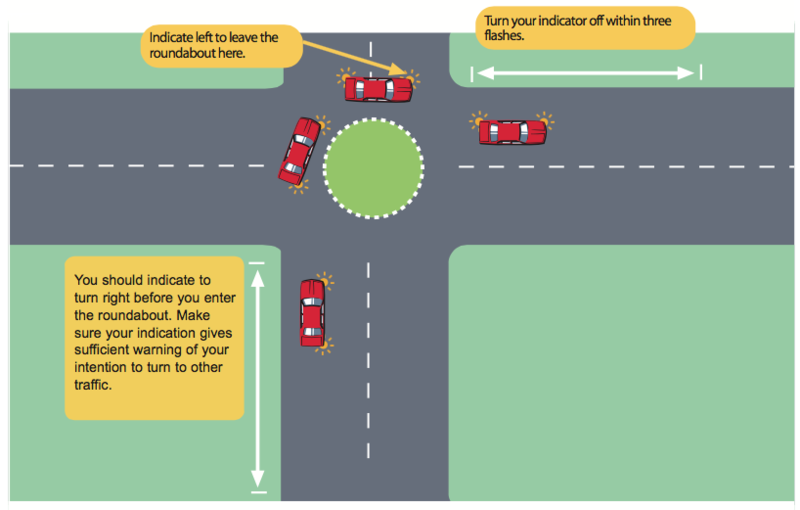 In the diagrams, you are driving the red car. You must see hazards before responding safely. Responsive drivers scan the whole scene looking for things that could threaten their own and others’ safety. Your assessor will check to see if you look for hazards that pose an immediate threat. There are countless potentially hazardous situations to which you will have to respond. The examples below will give you an idea of what the assessor will be looking for. What Does ‘Look Behind’ Assess? Look behind assesses whether you can monitor what is happening behind you. Looking behind should become second nature and you should always be doing it. Drivers must monitor and know what the traffic behind them is doing. ‘Look behind’ requires you to check mirrors and your blind spot so you can interact safely with traffic. When is ‘Look Behind’ Assessed? Look behind is checked more frequently during complex tasks. This helps the assessor determine if you can use look behind without thinking about it consciously. How is 'Look Behind' Scored? You direct your eyes towards the appropriate rear side window (head check) immediately before the vehicle starts to enter a position that a following vehicle could also enter. You don’t head check immediately before the vehicle starts to enter a position that a following vehicle could also enter. You do a head check more than two seconds before the vehicle alters course. You direct your eyes to appropriate mirror(s) at regular intervals. You don’t direct eyes to appropriate mirror(s) at regular intervals. You direct your eyes to appropriate mirror(s) at least 5 to 10 seconds before starting to turn or diverge. You don’t direct your eyes to appropriate mirror(s) at least 5 to 10 seconds before turning or diverging. You direct your eyes in appropriate directions prior to, and at intervals while reversing. You don’t direct your eyes in appropriate directions prior to, and at intervals while reversing. The following examples of ‘look behind’ represent aspects of your driving that will be checked. Read these examples in conjunction with Drive Safe: A handbook for Western Australian road users. In the diagrams, you are driving the red car. You should head check your blind spot when before you steer into a position that a vehicle behind could use. Signal assesses if you let others know what you intend to do before you do it. Drivers signal intention to turn/diverge by indicating for as long as needed to let traffic know their intentions. In typical conditions and built-up areas, indicate long enough to sufficiently warn. Before moving from stationary, indicate for 5 flashes or 5 seconds. Signalling should become second nature and you shouldn’t have to think about it. Signal is checked more frequently during complex tasks. This helps the assessor to determine if you can indicate without having to think about it consciously. When leaving a parked position, you have the indicator on for 5s before moving. You have the indicator on for less than 5s before moving from a parked position. When moving, you turn on the appropriate indicator for a sufficient time to signal your intention before turning or diverging. You don’t provide sufficient indication before turning or diverging. You keep the indicator on until the manoeuvre is completed. You cancel the indicator before most of the vehicle has entered the new position. Your indicator is cancelled within 3 flashes of the manoeuvre being completed. Your indicator isn’t cancelled after 4 flashes of manoeuvre completion. The following examples of ‘signal’ represent aspects of your driving that will be checked. Read these examples in conjunction with Drive Safe: A Handbook for Western Australian road users. In the diagrams, you are in the red car. What Does ‘Vehicle Management’ Assess? Vehicle management assesses if you can monitor vehicle instruments, use the steering wheel correctly and use the clutch and gearbox effectively. It includes important tasks you should be doing before and while you drive that are outside ‘qualities’ of driving and not covered by the other PDA items. When is ‘Vehicle Management’ Assessed? You are scored on how you manage the vehicle when you first get in to prepare for driving and continuously throughout the PDA. How is ‘Vehicle Management’ Scored? You ignore things affecting safety inside the vehicle. You adjust the driver’s seat and belt. Your position enables you to operate the car. You take up a driving position that is not good for controlling the vehicle. You travel centrally in the lane. You go over/near markings unnecessarily. You respond properly to vehicle instruments. You do nothing when vehicle instruments display warnings or important information. You use switches as needed. You do not use switches when needed (e.g. you don’t use wipers in the rain). 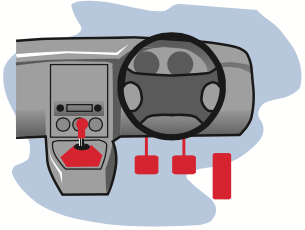 You steer and use the gears to assist your control of the vehicle. You do anything that reduces your vehicle control (e.g. you turn with the clutch in or you hold the wheel from the inside). The following examples of ‘vehicle management’ represent aspects of your driving that will be checked. 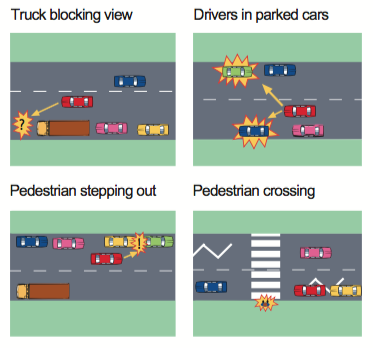 Read these examples in conjunction with Drive Safe: A Handbook for Western Australian road users. You do not have to use a specific steering or gear change method but the method you use should help you operate the car safely. Use a method that suits you and keeps the vehicle on track. You can steer backwards using one hand. Enter and drive around corners in a gear that helps control. Do not have the clutch in unless driving so slowly you could stall. Keep off the clutch unless changing gear or preventing the car from stalling. Use the correct gear – do not strain or over-rev the engine. Do not let the clutch slip for a long time or crunch or grind the gears. Change gears before or after you steer. Do not change at the same time as steering is being applied into or out of a corner. When stopped, always keep your foot brake applied when you operate the gear lever. 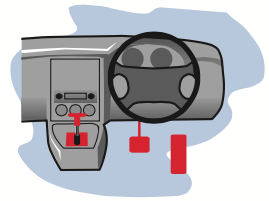 If you use the gear lever manually when driving forward, choose gears that suit the situation and don’t strain the engine. You must use your right foot to brake in an automatic vehicle.